0-1000 m run in 27.6 seconds should be added. "Renault Laguna Coupé 3.5 V6 covers the 1,000-metre standing start in 27.6 seconds"
Amazing time BTW, for FWD V6 with 6-speed automatic. That's only a 0.7 s slower than new 280 HP Astra OPC, which has 6-speed manual. Why delete of fastestlaps the normal version 3.5 v6 and 2.0 T 205 without 4RD?? In many countries Renault sold the normal version and GT version. 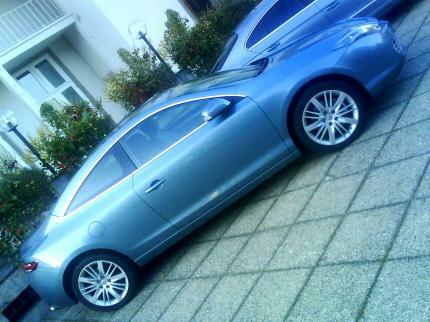 thats wrong the Laguna Coupe is avaible with the V6 as GT version. 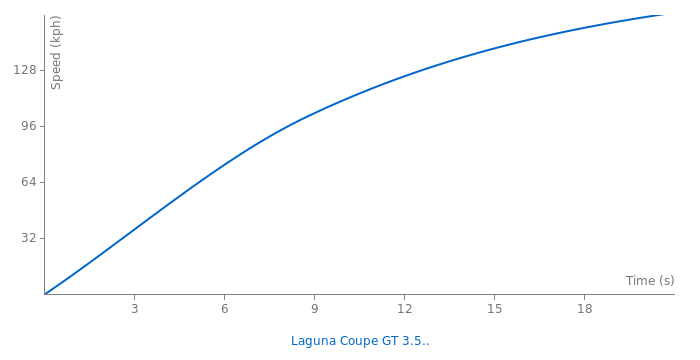 Laguna Coupe versions offered in Germany. the 3.5 v6 240cv version is a initiale (no GT). the GT version of laguna coupe is only for 2.o litre 4 cylindres turbo engines with 180cv ( 2.0 dci 180cv diesel)and 205cv ( 2.0 T 205cv).